I've been teaching Zentangle in central Ohio since 2011. 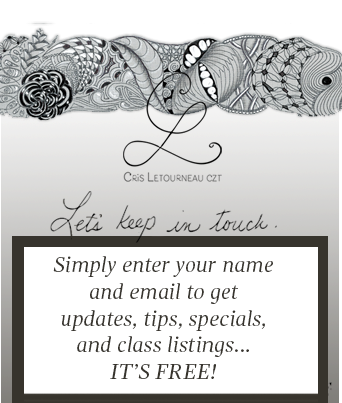 I send a newsletter with my class schedule, tips, and specials. You can expect an update about once a month. I hate spam and would never sell your email or send you a bunch of junk.